READ 180 just got even better. 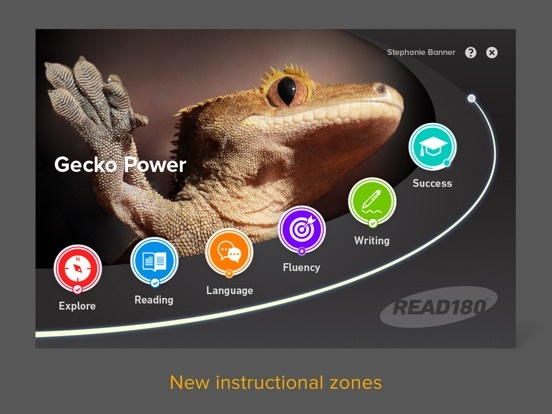 After decades of extensive, ongoing research and development, we’re proud to introduce READ 180 Universal – the NEW comprehensive blended learning solution for Grades 4 and up. Respectful and engaging for struggling readers of all ages, READ 180 provides strategic reading intervention in three stages, each with unique, age-appropriate content for students in Grades 4-12+. 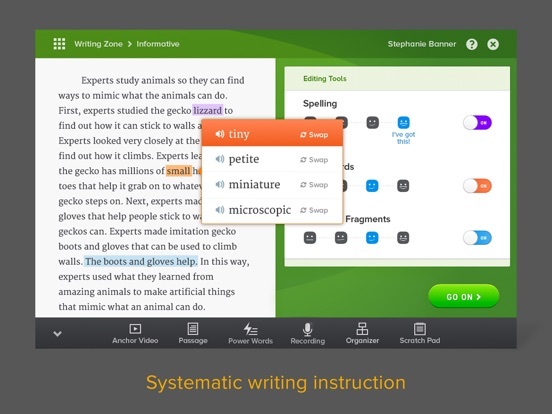 The NEW Student Application for iPad includes content for all stages of instruction. It features an adaptive instructional experience engineered to engage students and let them take ownership of their learning. New and enhanced activities engage and motivate students while facilitating greater knowledge acquisition. 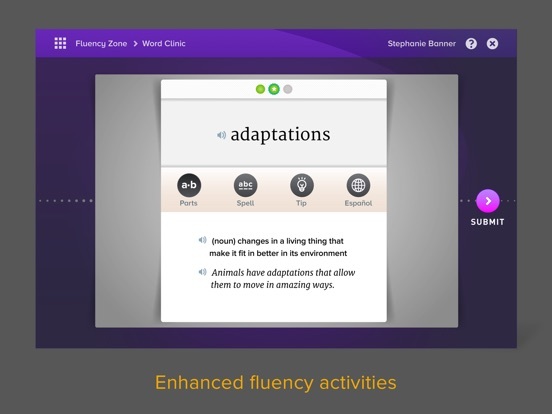 The app is engineered to accelerate reading proficiency even faster with six dynamic levels of instruction for Stages B and C students (five levels of instruction for Stage A students). 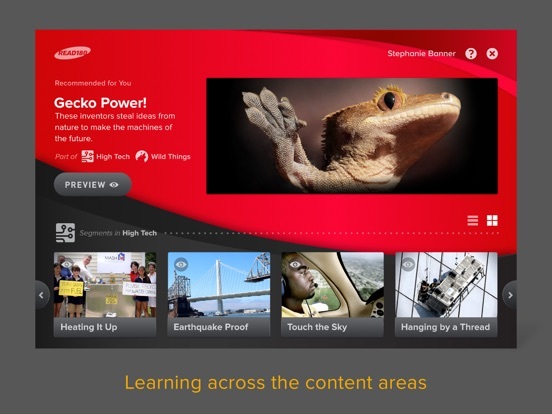 The READ 180 Universal's brand-new interactive content helps put learning into context for all students, allowing them to build background knowledge essential for success. The READ 180 Knowledge Map represents a cross-disciplinary journey toward development of content knowledge for both school and life, exploring science, social studies, literature, culture, technology, engineering, arts, and mathematics. •A more personalized instructional experience for students leverages brain science and growth mindset to accelerate achievement. •Students work independently on the READ 180 Universal Student Application, following a personalized path that accelerates their learning. 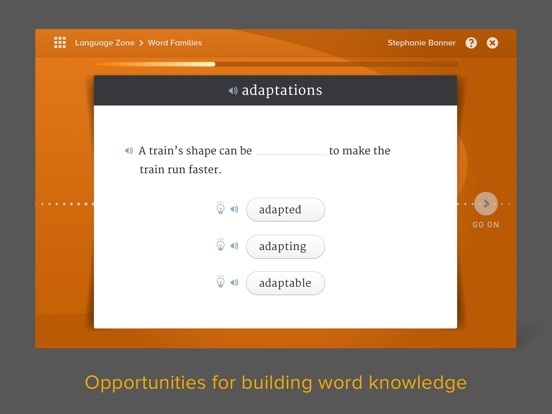 •New, engaging content inspires curiosity, fosters independent reading, and extends learning beyond the classroom in order to help students make stronger, deeper connections. The READ 180 Universal Student Application for iPad is available to all current READ 180 Universal customers. The app requires an active internet connection.